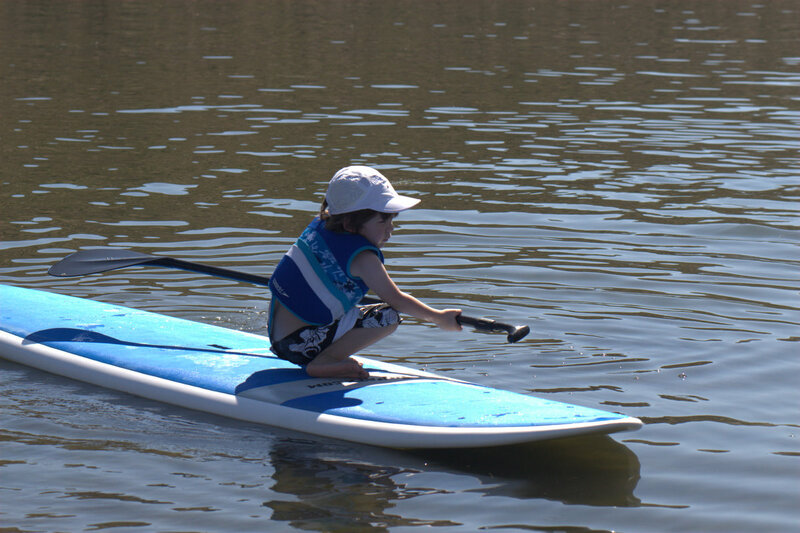 So you have your first board and paddle and you’re ready to jump in the water. 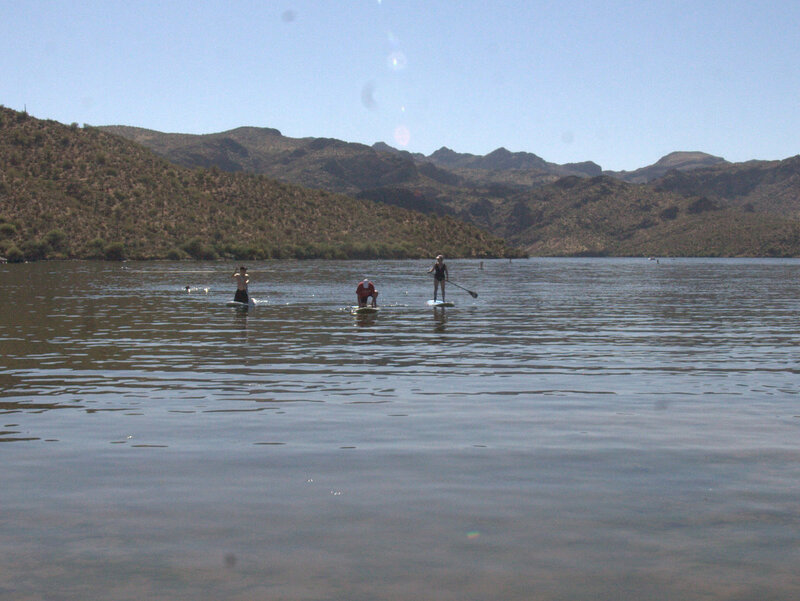 Did you know that you need a permit in order to paddle in Arizona lakes? Wondering if you need anything else? 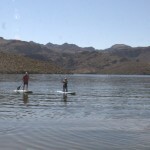 You do NOT need to register your stand up paddleboard. 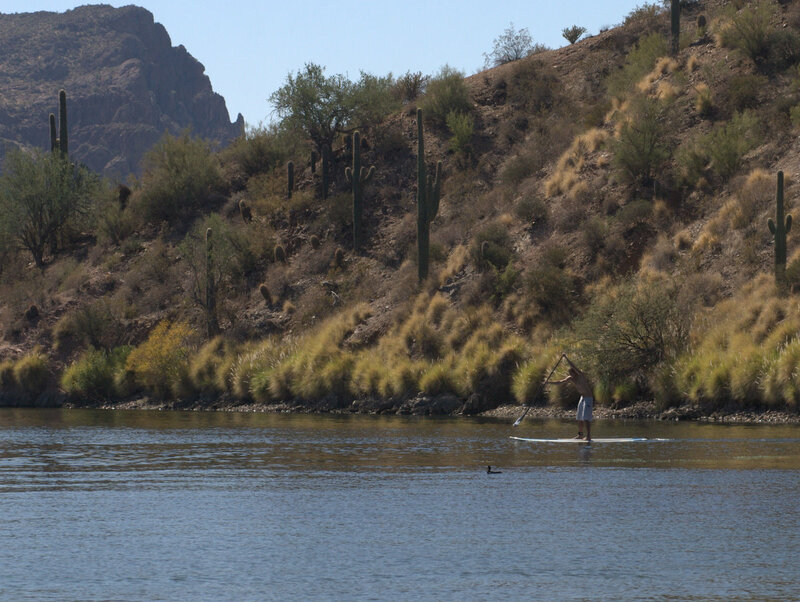 You can see at the Arizona Game and Fish Department website that there is only call for registration when a watercraft is motorized. I verified this with a call to the AZGFD. 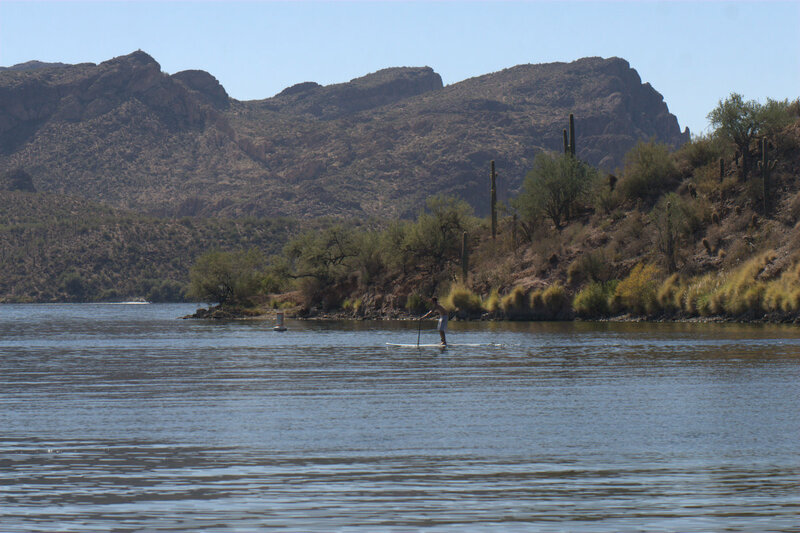 You can also see this at the Boater’s Guide site by Boat Ed, the official provider of Arizona’s boating safety course (developed in conjunction with Arizona Game and Fish). Non-motorized vessels are specifically excepted. What you do need though, is a permit. 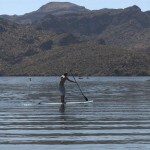 And depending on where you paddle, you will need different permits. 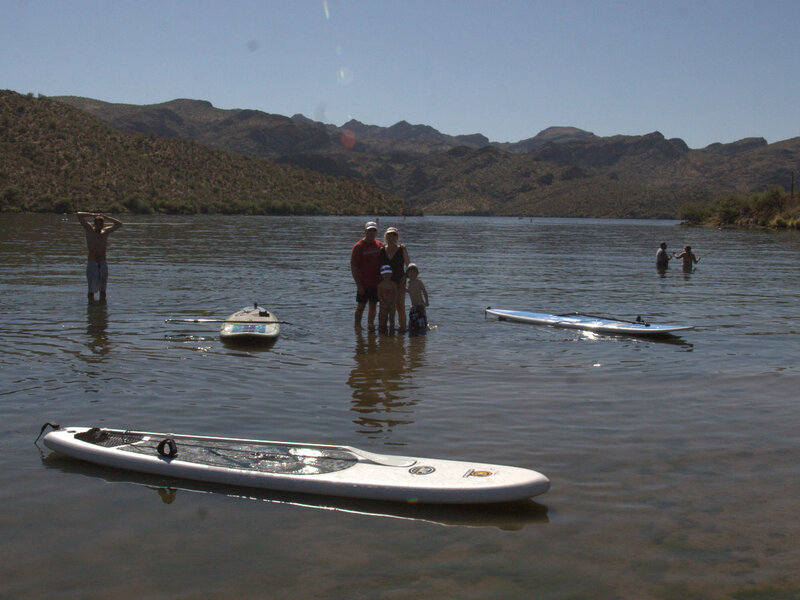 If you are going to paddle at Tempe Town Lake, you need a specific permit for that lake. 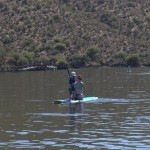 Permits are good for a year and are $50 annually per watercraft. 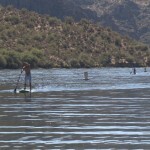 If you are a Tempe resident, the cost is discounted to $25 annually per watercraft. 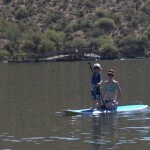 Daily permits are also available for $10 per day (Tempe resident or not). I went to the Tempe Public Library. If you’re going to head there, as soon as you step in the door, head for the elevator on the left and take it to the 2nd floor. Once you get out, head toward your right and you’ll see the office with the glass wall on the lobby. A tip is that permits are done by month. So if it’s nearing the end of the month and you can wait a few days, try to wait until the 1st of the next month so your permit will be valid for that much longer. 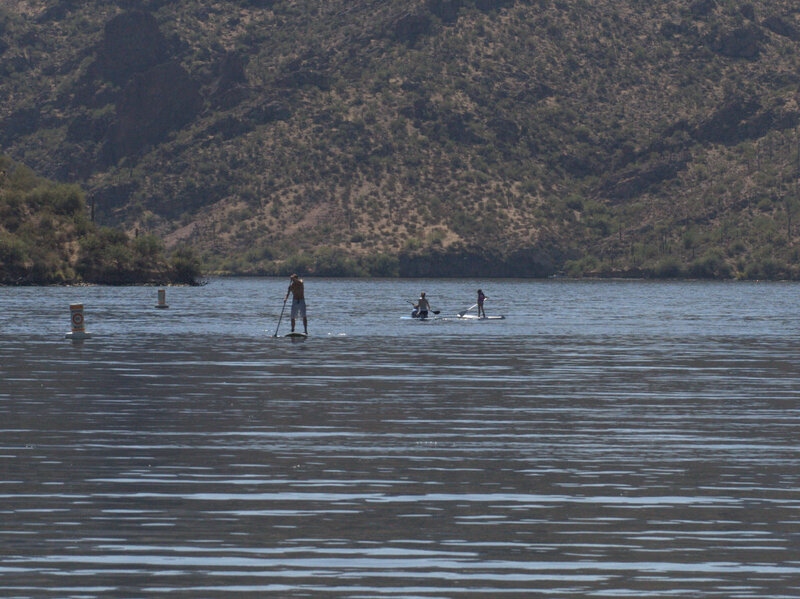 If you’re looking to paddle other lakes in Arizona, you’re likely to need a Tonto Pass. 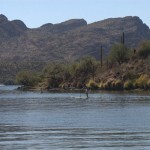 The Tonto Pass is a daily use pass. 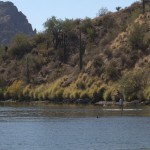 There are 2 components to a Tonto Pass. 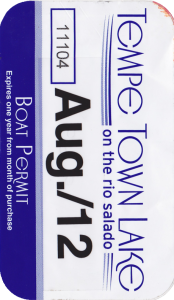 There is the pass itself and then there are water craft use stickers. 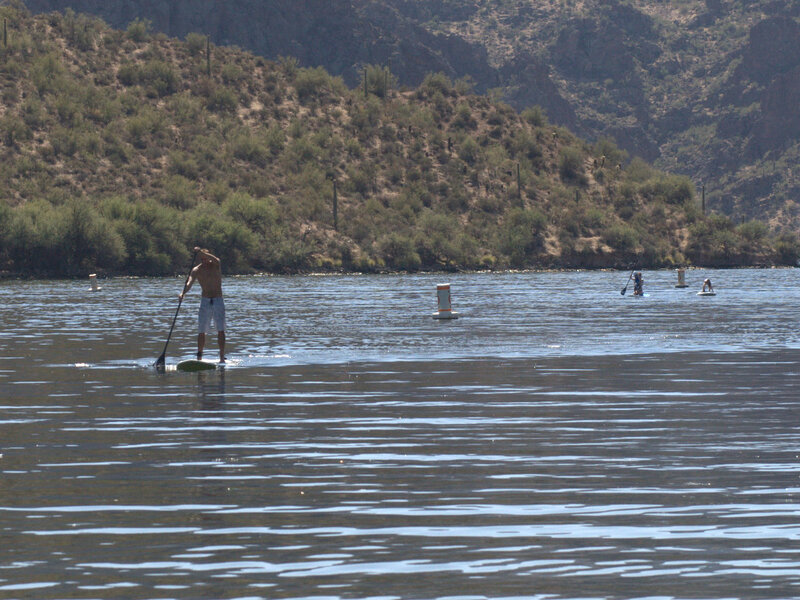 You do NOT need a water craft use sticker to stand up paddle. 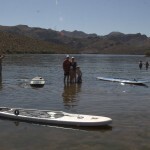 They are again only needed for motorized watercraft. Tonto daily passes are $6. 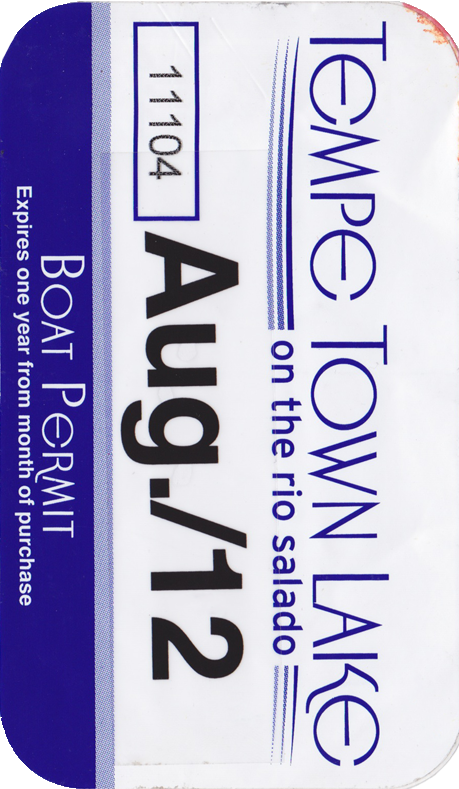 You need to scratch off the date and time you are using it for and then they are good for a 24 hour period. 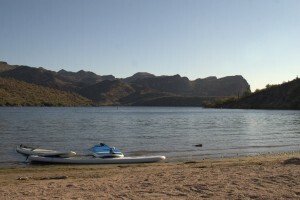 A Tonto Pass is needed for each car parking at the lake. 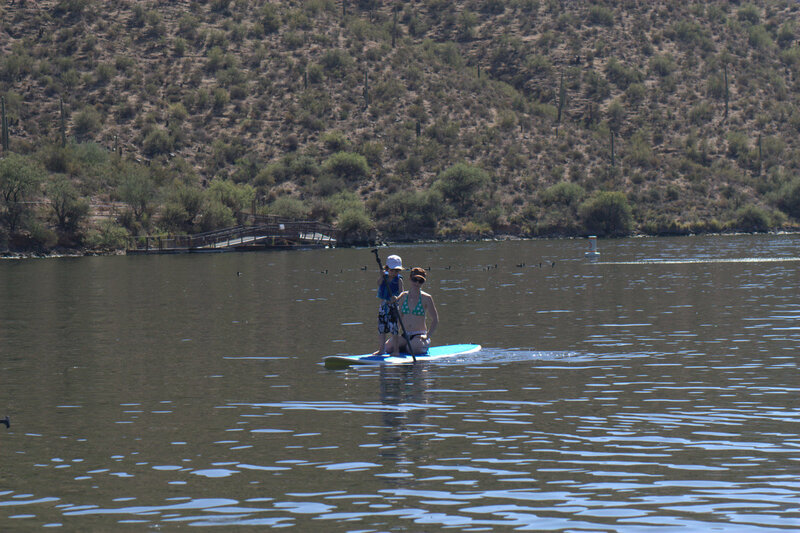 Passes are valid at the recreation areas, NOT the marinas. 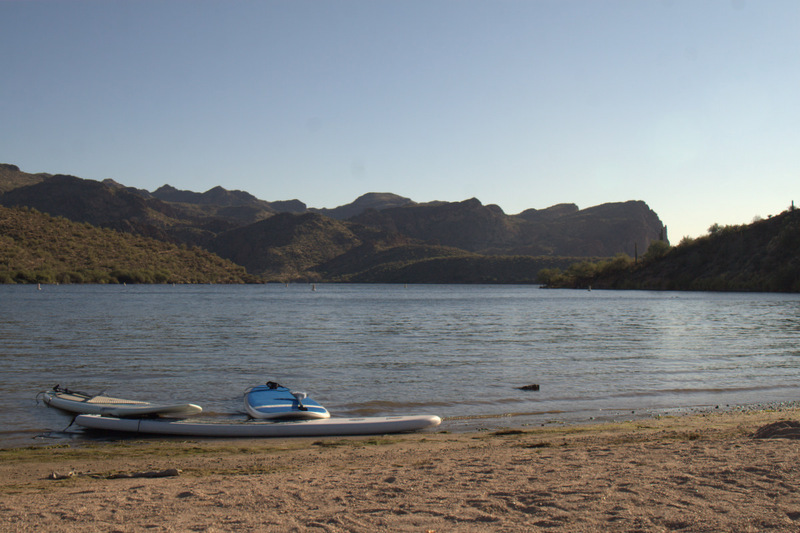 See detailed info on valid Tonto Pass locations. At the Tonto National Forest supervisor/ranger offices. At retail outlets around Arizona. 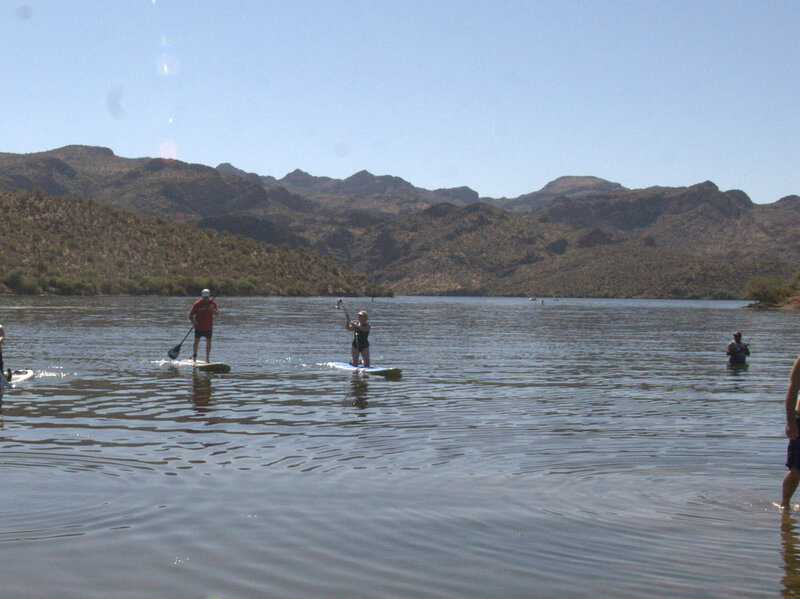 If you’re heading to Lake Pleasant, they do things a bit different there. They charge a fee for entry. It is $6 per vehicle or $2 per person in a van or a bus. Nothing to be done ahead of time here. Just pay as you enter. 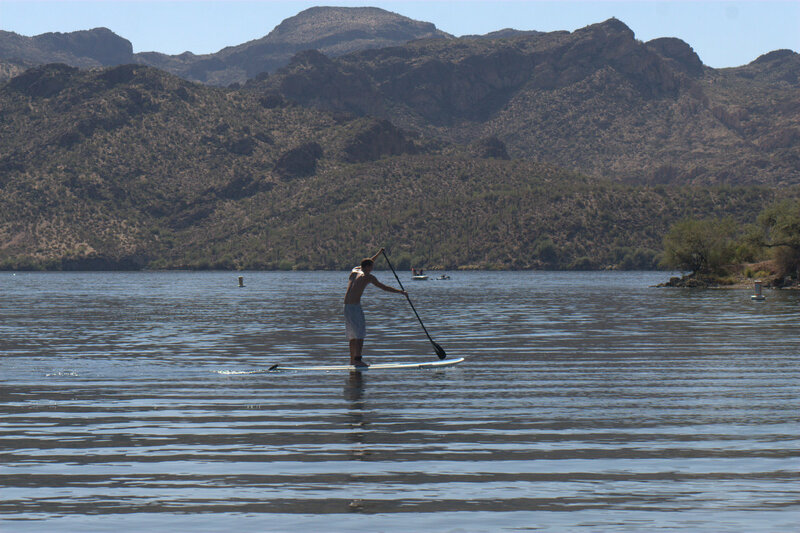 Had a great trip to the lake this past weekend. 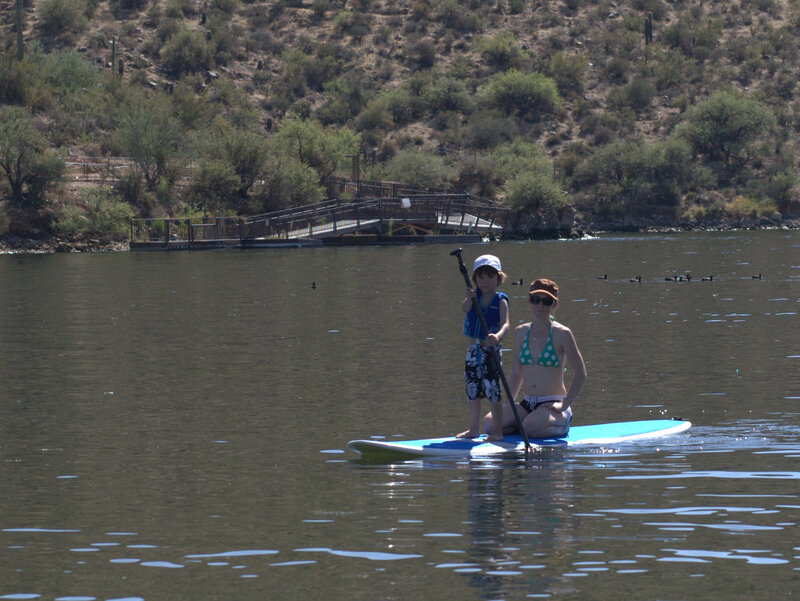 We got a bunch of family up SUPing for the first time, had a nice picnic and just enjoyed the lake. 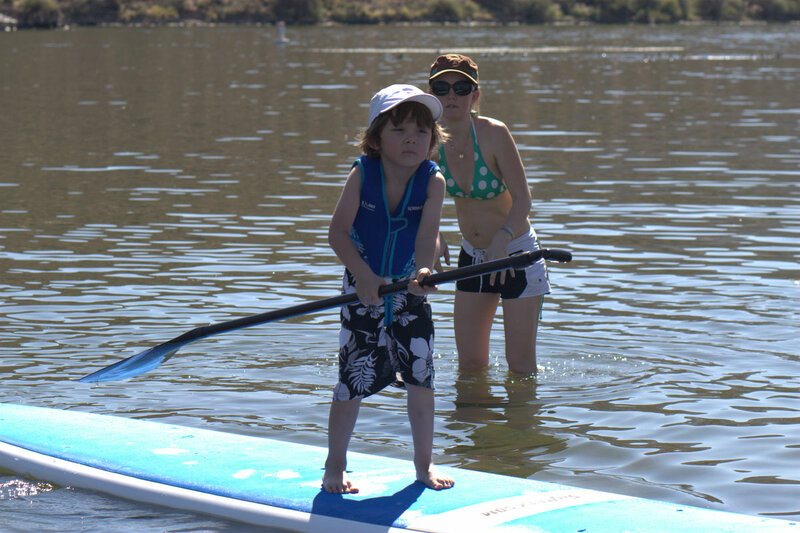 My mom, Heather’s mum & stepdad and my 5 year old nephew got out on the stand up paddleboards for their first times and really enjoyed it. 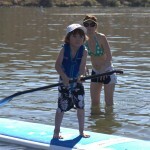 That is one of the things I love most about stand up paddling. 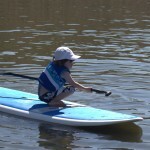 Anybody can do it from young, young kids to folks even a bit older than me.